FQ777 has just released the FQ18 Selfie Drone, also known as the “Dobbin”. The Dobbin is an unabashed copy of the popular selfie drone the Dobby. It isn’t a new thing for a small drone company to imitate a popular drone, but the Dobbin on appearance is one of the most similar impersonators we have come across. How does it actually compare to the Dobby? Let’s find out. Be sure to use the coupon code at the end of the article to save money when you buy your Dobbin! 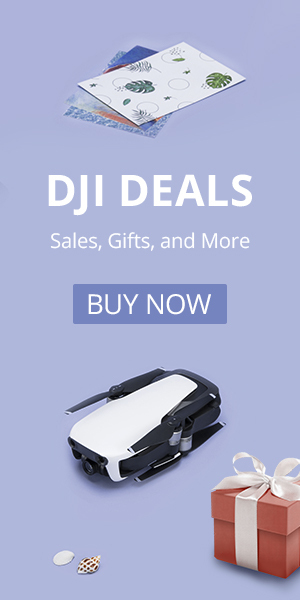 The Dobby is a $225 brushless GPS drone with an HD camera that has a handful of flight modes and image stabilization. The Dobbin is a $50 brushed drone made to look like the Dobby. It lacks the powerful motors, GPS, flight modes, high-quality camera and image stabilization. They may look similar, but it isn’t really fair to compare them. That said, the Dobbin isn’t bad for what it is and you can buy four and a half Dobbins for the price of one Dobby. I’m sure it is a coincidence that these two drones look so similar. The Dobbin is a nice drone, but the Dobby is a full-featured flying machine. If you are looking for something to take high-quality pictures and video, to follow you, or to be very stable then you want the real deal, the Dobby. If you are looking for an inexpensive selfie drone that can take decent pictures and is fun to fly, then take a look at the Dobbin. Let’s see what the Dobbin brings to the table. While the Dobbin is no Dobby, it still is a pretty nice little beginner quadcopter. It is a small drone and both its arms and propellers fold up to make it even smaller. When folded up it has about the same footprint as a smartphone. It is one of the nicer small portable selfie drones we’ve come across. You’ll get a carrying pouch, propeller guards transmitter, battery, spare props, charging cables and a small screwdriver with the drone (smartphone not included). The Dobbin features altitude hold to keep the quadcopter stable. It also has headless mode and can flip with a push of a button. The Dobbin is more powerful than most small inexpensive selfie drones. In fact, it is probably the fastest one we have flown. Nobody is going to confuse this with a DYS racer, but it has some guts and we appreciate that even in a selfie drone. The Dobbin features a string of 16 red and blue LEDs on the underside that give it a really cool look, especially when flying in dimly-lit spaces. With the Dobbin you’ll get a 2 MP 720p HD camera and you can view a live FPV feed on your smartphone while you fly around. Unlike almost all inexpensive drones, the Dobbin camera has a wide field of view. We measured the horizontal field of view in our lab and found it to be a wide 94°. This means you actually have some chance of navigating this drone by watching your screen instead of the drone. Like all WiFi drones, there is a bit of lag, but it’s not too bad. Here is a quick picture from the camera on our test target. The camera quality of the Dobbin is pretty good. It isn’t Dobby-good, but it is better than many inexpensive selfie drones. There is some distortion in the image, which is very typical for cameras that sport a wide field of view. You will have to fly slow and steady to get good video, as there isn’t any image stabilization or gimbals to smooth out your footage. The camera angle is adjustable so you can position the lens precisely how you want it. 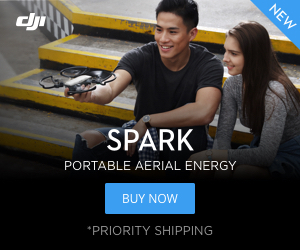 There are a lot of inexpensive selfie drones on the market right now. Another one of our favorites is the Eachine E56. Like the Dobbin, it is an imposter of another popular drone, the DJI Spark. It, like the Dobbin, folds up and features a 2 MP 720p HD camera. The E56 comes with a nice carrying case and has an interesting motion-sensitive remote control. The Dobbin between the E56 and the original Elfie Selfie Drone. Should You Get a Dobbin? If you are a fan of the Dobby but don’t have the budget for the real thing, then the Dobbin is a pretty decent option. It is a fun drone to fly and looks pretty good as well. Starting around $50 the Dobbin is a good deal. Save $4 with the coupon code HTY4FQ when you order from TomTop.